Why struggle to find the right word when you can have all the possibilities in an instant? Free your mind to create and let MasterWriter do the rest. 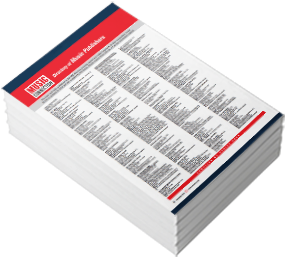 A Rhyming dictionary with over 100,000 entries and 36,000 Rhymed Phrases. 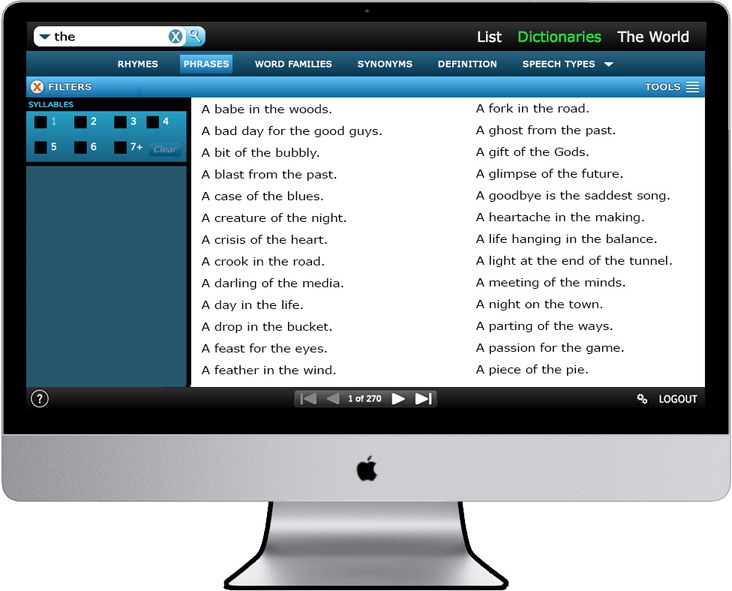 Filters allow you to search on perfect, close and wide rhymes which gives you more choices and helps you to express yourself in a more creative way. 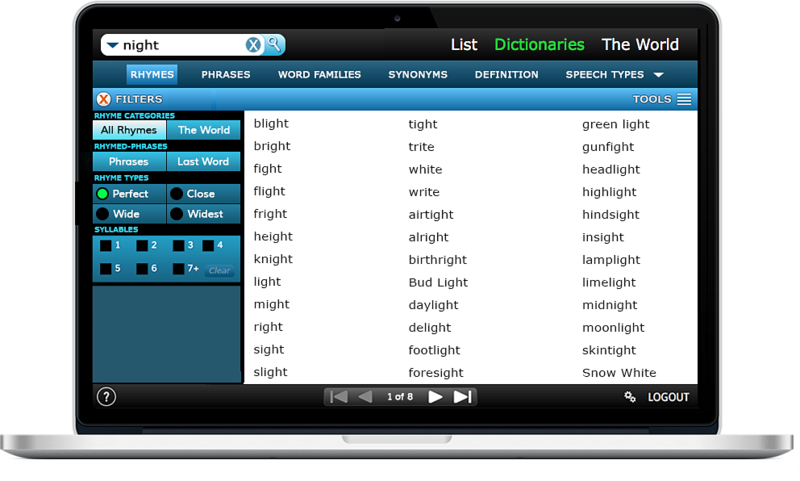 You can also search by syllable and on phrases that rhyme. A Phrases dictionary with over 33,000 phrases, sayings and word combinations. Your own personal idea factory that allows you to search by any word contained in the phrase. Word Families is a unique and revolutionary reference dictionary that opens up a new world of possibilities for descriptive words, far beyond that which you will find in a thesaurus. The Extended entries in Word Families are words that relate to the search word and in certain cases, can replace it in a more creative and imaginative way. They can also be used to intensify the search word. Speech Types gives you all the different Figures of Speech including Intensifiers. Filters allow you to be more specific in your searches and makes this one-of-a-kind reference dictionary an invaluable tool for the songwriter. 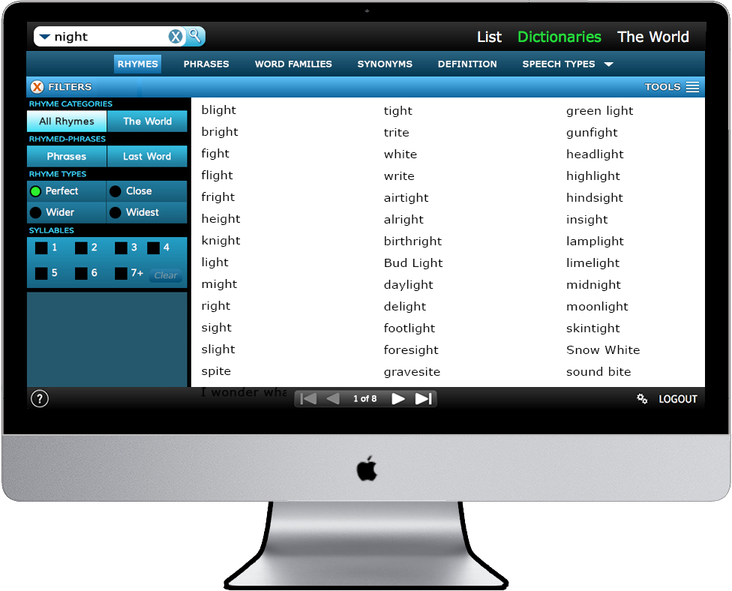 The only electronic version of The Synonym Finder, which in our opinion, is the best thesaurus on the market. What makes accessing the reference dictionaries so useful is the ability to collect multiple entries from every dictionary. Double-clicking on any entry will automatically collect it to your song. Having a number of options to choose from will help you to express yourself in a unique and more meaningful way. As a professional songwriter and musician, I have been using MasterWriter for over 5 years now as my primary songwriting platform because of its “all in one” bundle of features, eliminating the need to use multiple applications. MasterWriter’s thorough rhyme/phrase/dictionary/thesaurus features, the ability to create a master lyric sheet, along with the recording function and detailed song cataloging, make it convenient and reliable to where I can spend more of my time creating and writing!! Truthfully, once I started using MasterWriter, my writing elevated to a whole new level. 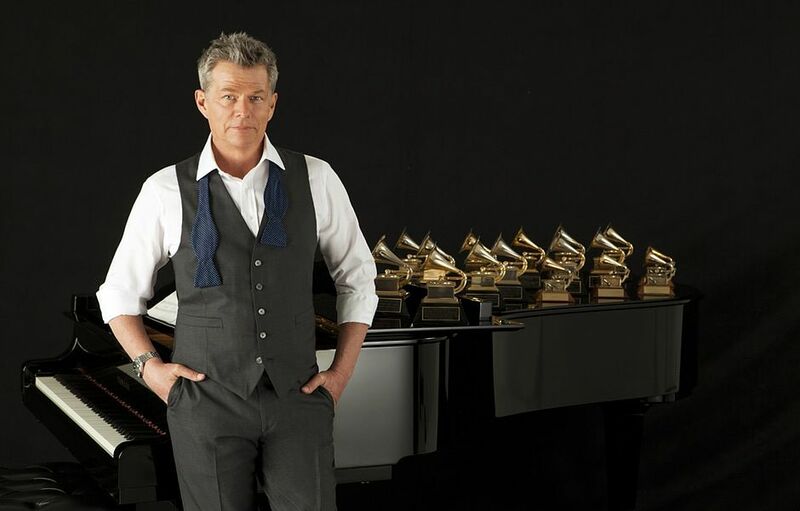 The stronger songs led to various contest wins, including the 2014 grand prize country song in the prestigious John Lennon Songwriting contest. Better songs meant more publishers opened their doors, pro cowriters came calling, my songs were getting recorded by up and coming artists and some majors!! 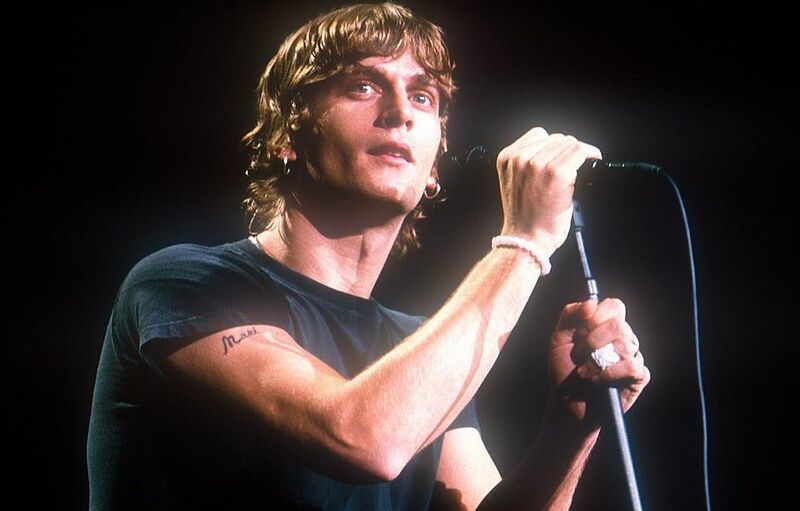 It’s been a huge part of my song success. Writing lyrics is HARD! No one can get inside your head and effortlessly shape your half-sensed intuitions about life and relationships into lyrics that are eloquent, artful, and elegantly phrased. But MasterWriter makes the process much easier by arming you with the words, phrases, rhythms and rhymes that make such expressiveness possible. Thanks to MasterWriter, the quality of my lyrics has vastly improved since I acquired it over two years ago. This program is probably the best tool for what I do that I’ve ever subscribed to. 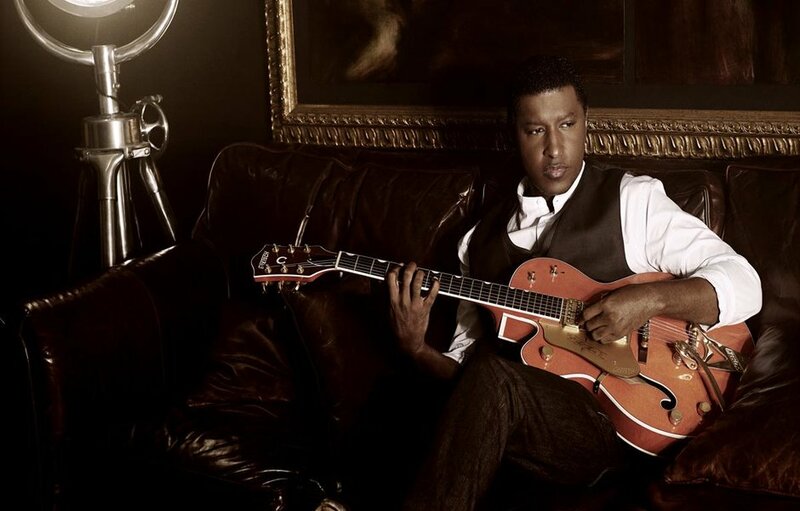 I’ve written so many songs using MasterWriter and all the songs are archived in one place. MasterWriter doesn’t write the songs for you, but it pushes your own imagination beyond what you previously thought was there…It’s simply put, the best program ever devised for any songwriter and I highly recommend it. MasterWriter has been my confidence and security blanket in any and every writing session. I’ve used MasterWriter on every song that I’ve written since it was released. If someone I’m writing with never heard of MasterWriter, the next time we write, they have it. In my opinion, this is the greatest tool ever invented for the songwriter. 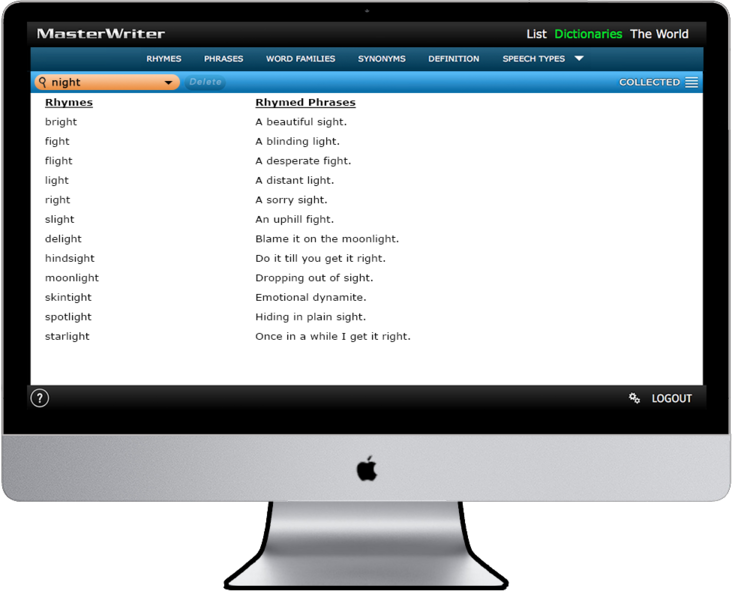 MasterWriter is the best songwriting tool on the market. 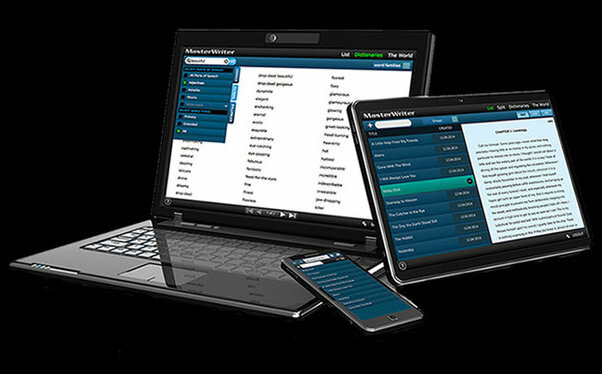 With the newest version of MasterWriter being web-based, I have the power to edit, write and re-write whenever, wherever and on any of my several connected devices. Remember that when I say write re-write, etc, that means any device is running the best writing software available today. Pretty much indispensable. I was introduced to Master Writer by Pat Pattison, Lyric Writing professor at Berklee College of Music. MasterWriter has become my best friend. I open it at every writing session and apart from providing rhymes, synonyms, etc., it so often leads to new ideas. I recommend it to every writer on the planet! Speaking for myself…I have used this program now for a few years…it’s simple to use, it is a huge time management tool…Why waste your time searching for verbs, nouns or rhymes? It’s so easy to get stuck or hung up…the searches within the program are wonderful time-savers…I have used this program to write over 1000 poems or lyrics…And I’m not the world’s most organized guy either…you can use it at home on the computer or on the go with an iPad or phone…it’s ready to use when you are…love it! MasterWriter has not only streamlined my writing process, but with all the built-in tools to inspire creativity, it has helped take my writing to the next level. I highly recommend this product to anyone that writes songs. If you are a professional songwriter or aspiring to become one, this is an absolute must have product. This program is a “MUST” for serious writers. I have had MasterWriter since it first came out! I can’t tell you how many times MasterWriter has helped me through the hard times in putting together words, phrases and ideas while songwriting. What a treat to have this type of help when you’re feeling inspired and just need some input to keep going … or when you really get stuck – instead of giving up … just boot it up … and voila! Thank you guys so much!!! MasterWriter is an essential tool for me. The goodies that come along with it – the rhyming dictionary, cultural references, thesaurus, word families, etc. – make it so easy to do any research I need to do. I don’t have to dig out my dictionary, rhyming dictionary and thesaurus. They’re all right there online so I can access them from anywhere. I love being able to jot down an idea on my phone and have it show up on my computer when I get back home. I’m hooked on MasterWriter. I have used MasterWriter now for the last two years. During that time, the application has continued to grow and add features that I have found very helpful. Even though some of those features are available as third party programs, MasterWriter has made them all available in one place. When my hard drive crashed and I had to get another computer, retrieving my files was a simple as logging in again! I highly recommend MasterWriter to all my songwriting friends. The perfect tools right at your fingertips! 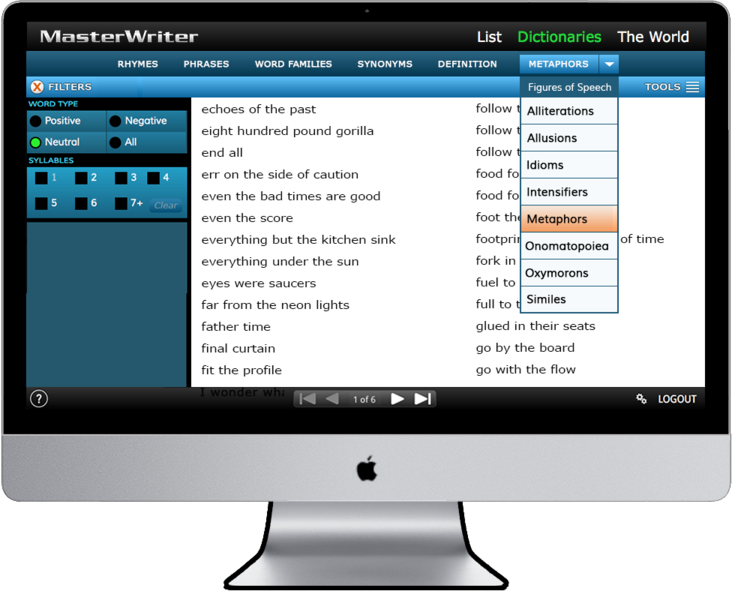 For rhyming, references, almost-rhymes, synonyms…whatever you are seeking to make your lyrics better, you will find in MasterWriter. I could write songs without it, but I’d miss being able to search for the perfect word or cultural reference to bring striking images into my lyrics. Thanks MasterWriter! 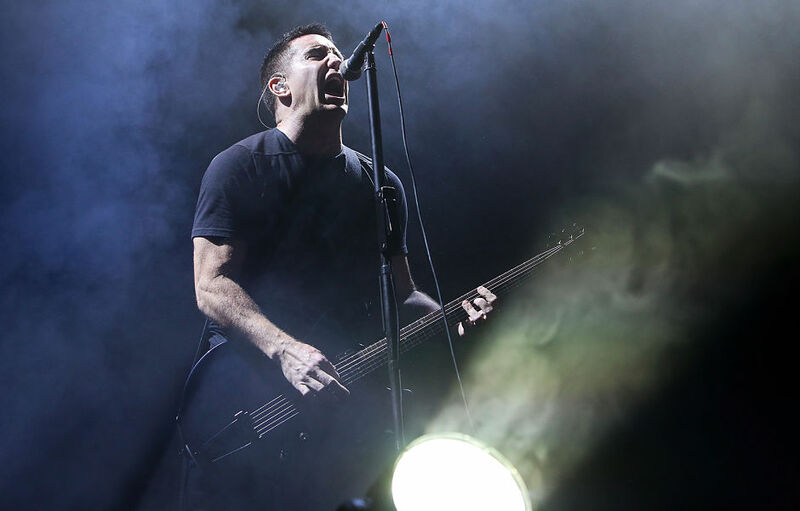 Write better songs and become a better songwriter in the process. Express yourself in a more eloquent and imaginative way. Unlock all the possibilities the English language has to offer in an instant. An essential tool if English is your second language. Compatible on all devices, capture inspiration whenever and wherever you are. Organize your lyrics, melodies and word product painlessly.